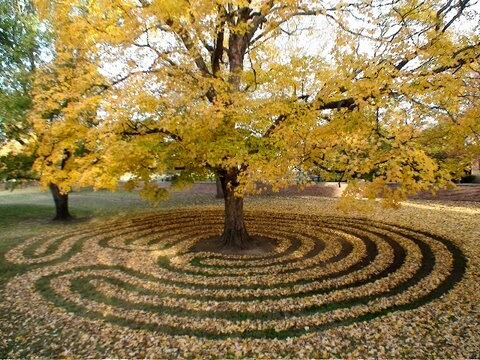 Share your beautiful labyrinth creations — walkable, finger or artistic — with others by responding to the annual "Call for Images." Each year we accept submissions of digital photographs to be shown during the Annual Gathering. Any current TLS member may submit an image, whether or not you are able to be physically present at the conference. Sharing our recent projects helps to inspire and inform others about the many environments, settings, designs, and uses for labyrinths around the world. 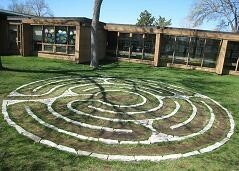 Please send images of labyrinths, mazes, and labyrinth-inspired art with which you are involved. Whether permanent or temporary, outdoors or indoors, large or small, intricate or simple, all are invited. If your work was shown in a previous year and you want to submit it again, please do so. TO BE INCLUDED IN THE 2016 LABYRINTH IMAGES, SUBMIT BY October 15, 2016. Please limit images to no more than 6 pictures and images should be from recent works, 2014 and newer. By submitting your images to The Labyrinth Society you are confirming that you possess the legal right or license to the images and that you authorize the Society to present your images at the 2016 Gathering in digital format. Files must be in the .jpg format, ideally less than 1MB in size and a minimum of 1200 pixels wide. If you can’t tell the type or size, go ahead and send your image and we do our best to reformat the photo. Do be aware that large pictures (digital files) can take time to transfer and should be sent individually in separate emails. And please, no panoramas. Please title your images TLS-2016-Lastname-#.jpg (ie. TLS-2016-Howlett-1.jpg, TLS-2016-Howlett-2.jpg etc) and email them with "TLS 2016 Member Images" in the subject line to Lars Howlett. Submit the google form and send email attachments NO LATER THAN October 15, 2016. If you have questions, contact coordinator, Tom Vetter.